The combination of speed, photo quality, and portability makes the BULB one of the most entertaining and versatile booths in our arsenal. Our BULB booths are easy to transport into those tight places, up stairs, and through elevator passages than others in the market, allowing you to choose the location with out any worries! Why is this state of the art booth called the BULB? For several reasons, but mostly due to its footprint being similar to the shape of a light bulb! This allows subjects to spread out once inside the booth to accommodate anywhere from a single guest perfectly in frame to a larger group with ease, but can be moved into tight locations due to their unique portability features. Leading to the other reason for their name... Best Urban Lightweight Booth, or for short, the BULB! Standing Only leads to amazing entertainment through body language! Special events such as weddings and corporate parties are all about enjoying yourself with family, co-workers and friends. 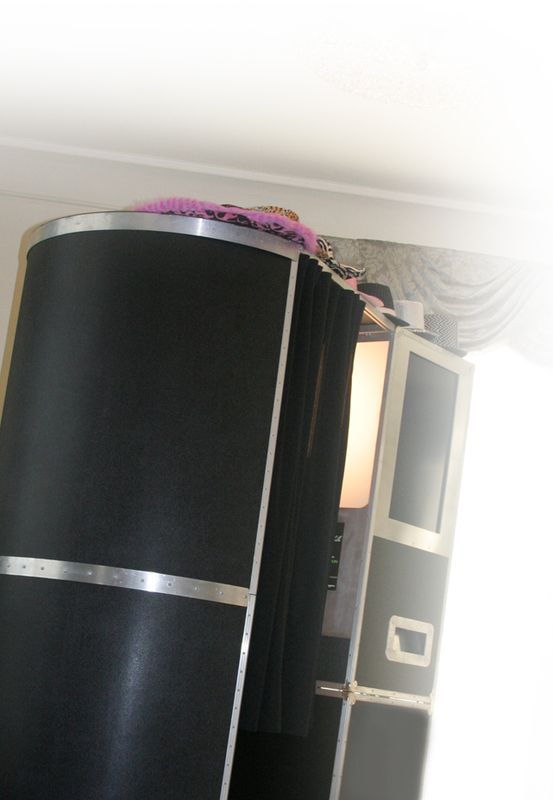 Make sure your photo booth can handle the crowd! 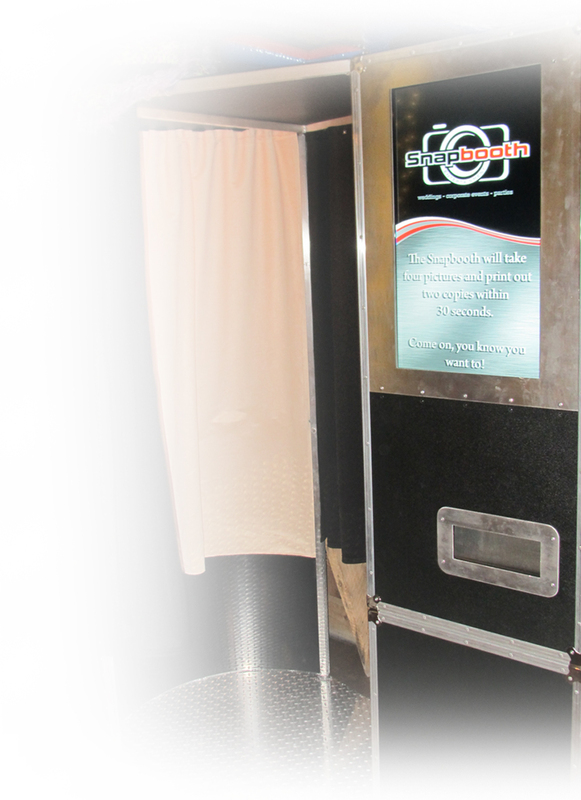 Our signature booths walk the thin line between being large enough to handle the crowd and fulfilling a confined feeling to provide the unforgettable experience of a true photo booth. Half the fun is seeing how many family and friends you can squeeze in front of the camera. So far, the record is 12 adults! But I think you may be able to do better than that... so take your best shot!Our BULB booths are easy to transport into those tight places, up stairs, and through elevator passages than others in the market, allowing you to choose the location with out any worries! Our LCD screen can showcase your pictures as a slide show during the event! Besides the love of all the prints that come out of the booth, how about showing oll the fun that goes inside the booth on our external monitor. Now the FUN has really begun! Your guests will be laughing and having the best time at your wedding, and we think showing the pictures gets everyone involved and encourages your guests to engage with each other to see who can outdo the other for the funniest picture. It is a must have!